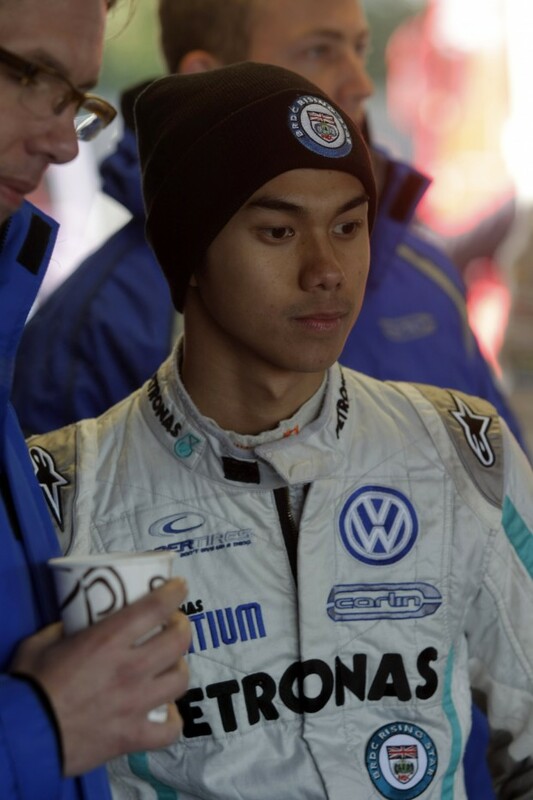 Leading young Malaysian driver, Jazeman Jaafar, will move up to the prestigious Formula Renault 3.5 (FR3.5) championship for 2013, remaining with Carlin, the team which he has been successfully racing with for the last three years. The 20-year-old driver will continue to have the support of PETRONAS when he makes his debut in the Formula Renault 3.5 series and takes another step towards his goal of being a Formula One driver. Formula Renault 3.5 is the headline championship of the World Series by Renault weekends and the category is recognised as a feeder series on the ladder to F1, the pinnacle of motor racing. Carlin has a strong history of producing future racing stars, with Sebastian Vettel, Jaime Alguersuari and Jean-Eric Vergne making the step into Formula 1 directly from Carlin’s Formula Renault 3.5 team. Jaafar enjoyed a strong, very successful third season in the British F3 International Series in 2012 and was a front-runner right from the first race of the championship through to the finale. Amassing a creditable 306 points, the record books show three wins, 15 podiums and 21 top five finishes for Jaafar from the 29 races which were run in the British F3 championship in 2012. As the young racer enters the next phase of his racing career he moves on to new venues with the World Series by Renault, including the most glamorous, iconic motorsport location – Monaco, where the series supports the Formula One Monaco Grand Prix. “I’m looking forward to driving on some new tracks like Monaco and Moscow and returning to some of my favourite European ones, including Spa-Francorchamps, Hungaroring and Catalunya,” says Jaafar. “Before we get started with the racing there will be more testing as well, so I’ll be able to put in some preparation before reaching the opening round in Spain at the end of April. It’s great to be able to plan well in advance and put in the pre-season work needed to be ready for that first race”.